If there’s one thing that the daily deals have yet to master, it’s the art of reliability. Oh sure, I can get a discounted dinner once in a while, but there’s not been a solid way for businesses to reliably advertise to local, potential customers on a daily basis. SevenLunches is fixing the problem. The idea is that SevenLunches is really two products — A daily email and/or SMS message, sent to you around the time that you’d be planning lunch, showing who has the deals in your area. Then there’s also an app, for both iPhone and Android, which will track lunch specials by your location. In short, it’s the missing link that Foursquare or Facebook deals should have but simply don’t. Oh, and it’s not just about deals. Perhaps a coffee shop has a special brew going, but it will only last for today. SevenLunches is a great way to let people nearby know that they can come by for a cup, even if it’s the same price as anything else. Nashville-based entrepreneur Jeff Lee is part of the team of brains behind SevenLunches (Ryan Maturski is the founder and CEO) and we discussed his product one day, over lunch no less. Lee sees the potential behind the product, and he sees it in a very real manner without any hype. But he also knows that there are inherent challenges to making the system work. “We’re about to finish up some new features to tighten some things up”, claims Lee. Those things are most notably Facebook integration as well as social analytics for the restaurants who have signed up for the service. What’s been difficult, though, is getting restaurants to take advantage of the service that SevenLunches can provide. Businesses that use the service are given the opportunity to load a new special each day, or to load them up a week at a time. If you don’t have a special listed, you’re given a reminder email. Though as the saying goes, you can lead a horse to water but you can’t make him drink. Even though SevenLunches could be a boom for a restaurant’s daily business, it’s not always easy to get the owner to actually commit to entering the specials and keep them updated. Beyond that, though, the possibilites are huge. 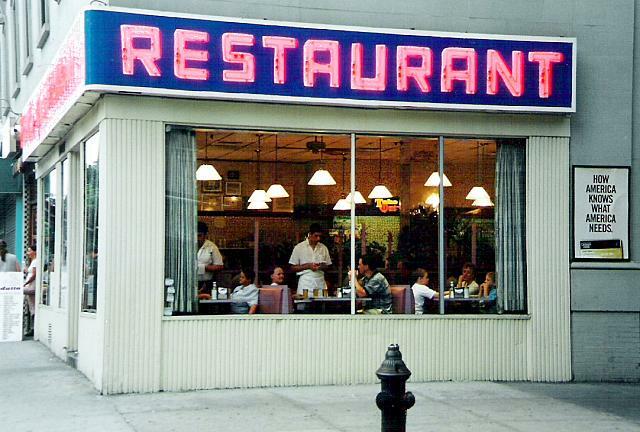 There are nearly a million different restaurants in the US alone. Of those, 40% have absolutely no presence online to reach their customers. If only 1% of those would work with SevenLunches then both sides would be rolling in customers. 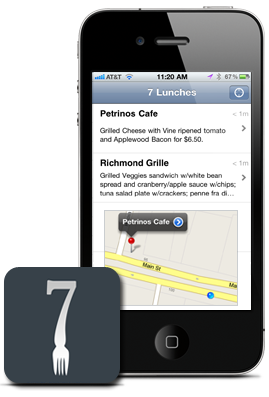 SevenLunches is operating on a freemium model. Right now, everything is free and directed especially at advertising what an establishment is doing for lunch. As more features (such as analytics, dinner specials and others) roll out, participating in those will require a fee from the restaurant owner. The team has been focusing on their home areas, primarily. There are restaurants in Lee’s Nashville area, plus his family’s area around Columbus, Ohio. Boston and San Francisco round out the push and there are roughly 300 establishments in total that are using the service. However, the word needs to be spread in order for SevenLunches to reach its critical mass and that’s why Lee is planning on spending the next month or so in the Bay area. The fact is, Lee knows that he needs to get SevenLunches to gain traction with the right people and right now those people are in Silicon Valley. He’ll spend 5 weeks beating the streets, signing up restaurants and helping to bring in more customers before returning to his Nashville home. Love it or hate it, San Francisco is the heart of consumer-facing technology right now, and Lee understands that importance. My grandma or even my parents will likely never have an iPhone to get our app or be on FourSquare, Gowalla, Twitter, or maybe not even facebook. But they do get E-mail. I love Gowalla, Brightkite and Foursquare personally, but there is the general hassle of getting on your phone, finding the place and checking in, and then broadcasting something about it that will go all over Twitter and Facebook. We’ll catch up with the SevenLunches team after Lee comes back from San Francisco. In the mean time, if you’re in a city that they serve, grab a download of the iPhone or Android app and let us know what you think. Read next: Google News gets a Plus-inspired makeover, but it's no improvement.